Carol and her drag weights. Please, do not try this at home or in the water. Carol is a professional with many years of experience in winning and wearing drag weights of this kind. Elsewhere on the beach, the temperatures are rising – slowly, it has to be said – and there are lots of people back in the sea and loving it. 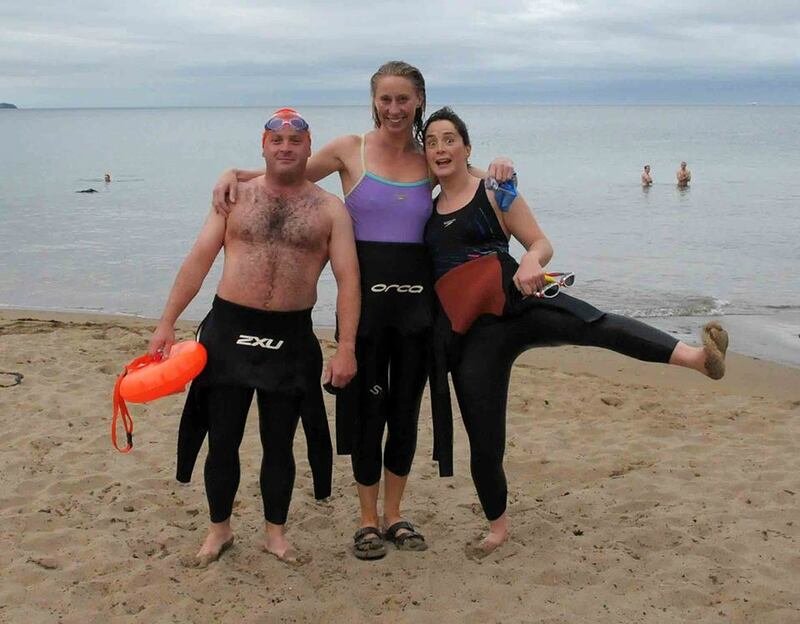 Liam Maher managed his qualifier swim too and was delighted (his entry under Qualifying Swims was “Plenty” – so the committee tapped him for a real swim). More visitors from around the country are appearing – a bit further than Tipp this time. 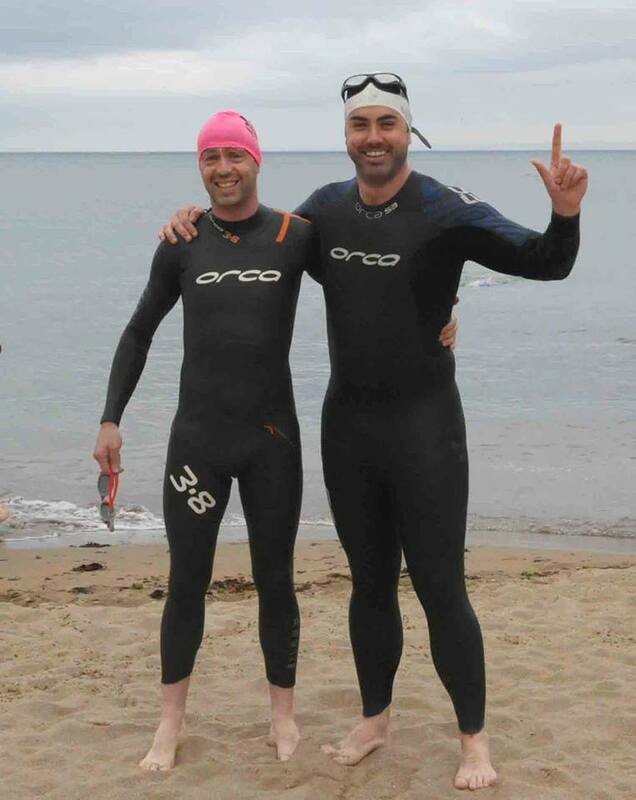 Conal McBride down from Donegal to get some warmer water, with Patrick “The Shadow” McCabe. 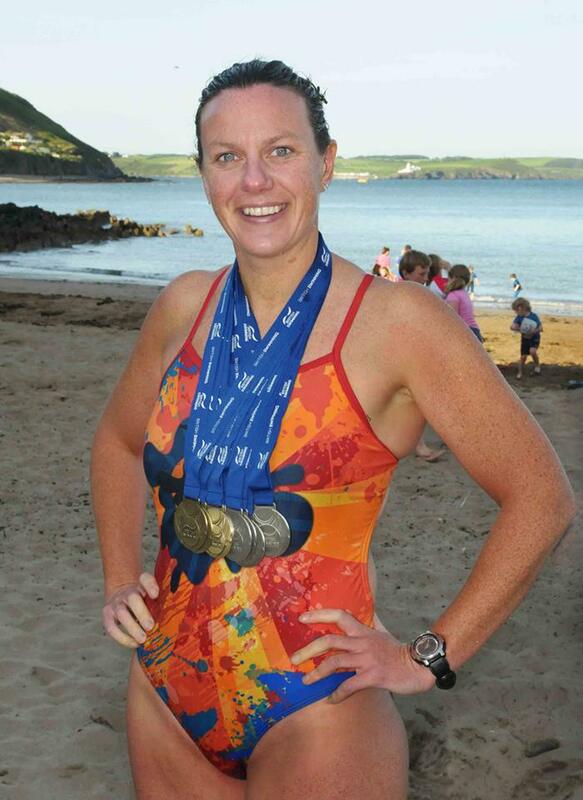 Sinead O’Donnell conducted an experiment on what happens if you put a wet foot into dry sand – results below. Imagine that. I wonder if the two guys on the right have any intention at all of “getting down” – as in the old phrase “It’s grand once you’re down”. Not a lot of people know this, but Bernard Lynch never washed his Speedos. They’ve been living in the back of his car for about five years and drenched in saline or chlorine most days. Imagine his surprise when he reached for them last week and discovered they’d mutated into jammers or been swapped by a family member. 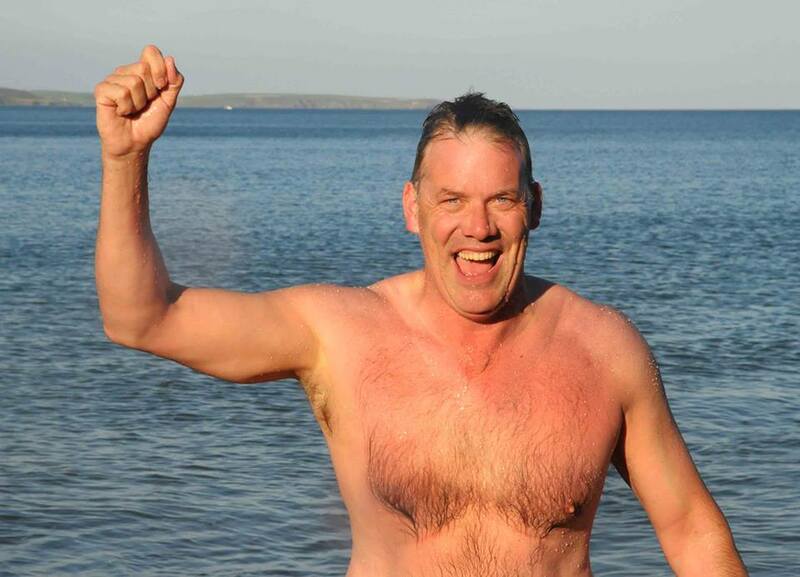 I think we’ll have to start an online campaign to bring back the Speedos – he’s not the same without them. 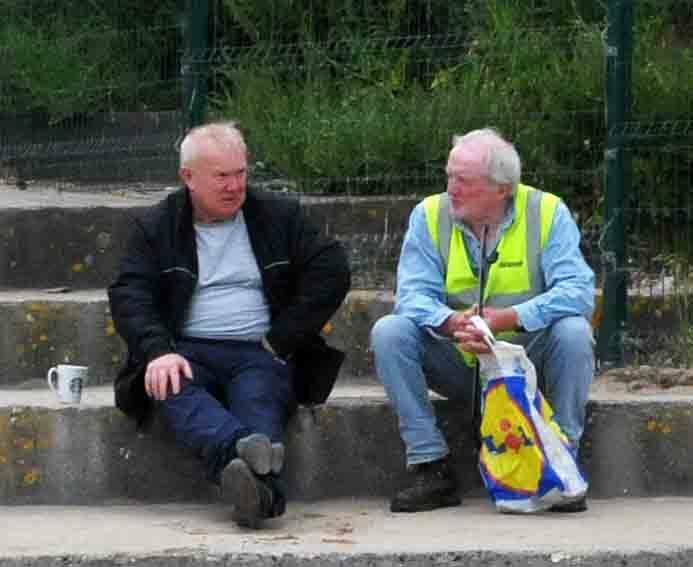 Unfortunately, as we all know, the downside of Summer in Myrtleville is that some undesireables start to turn up on the beach. The dodgy character below on the left was circulating during the week, muttering about “fresh” and “camps” and other lunacies. Just move away if he approaches you. He’s inherently harmless, we believe. Good luck to everyone in Garnish tomorrow. Remember, it’s a perfect qualifier for July 4th! 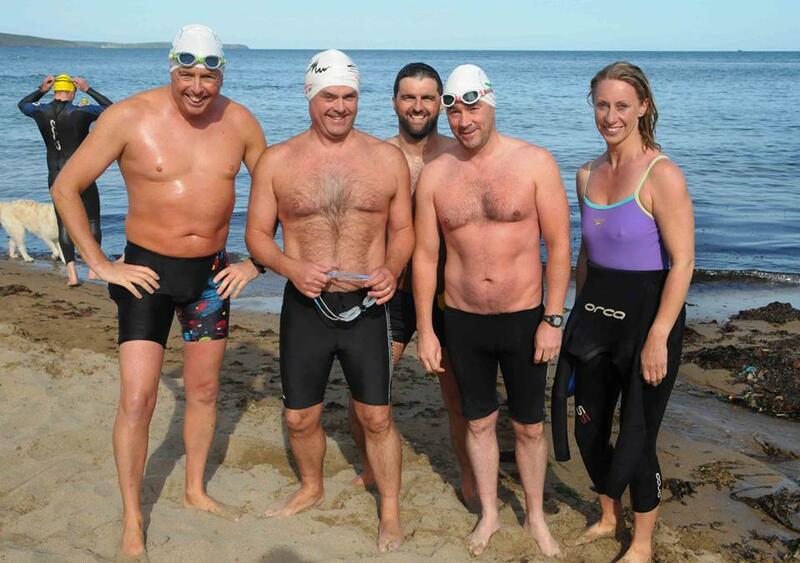 Enter here for the RNLI Myrtleville – Church Bay Swim.